Duane Valz – Zymergen Inc.
For Duane Valz, being the general counsel of Zymergen—a company on the cutting edge of bioengineering—is hardly a step backward from leading IP initiatives for Google, a role that included overseeing some of the most influential patent transactions in the technology sector—period. Granted, it’s a very different type of company whose legal operations he now oversees. Zymergen, a startup located just outside of Berkeley, California, is equal parts technology and biology. Founded in 2013, it promises novel products and materials created through fermentation, without the use of petroleum or petroleum derivatives. The first of those products—whose details are currently under wraps—is in the final development phases and the company is solidifying partnerships to bring it to market. And, according to the energetic Valz, it is well worth the wait. 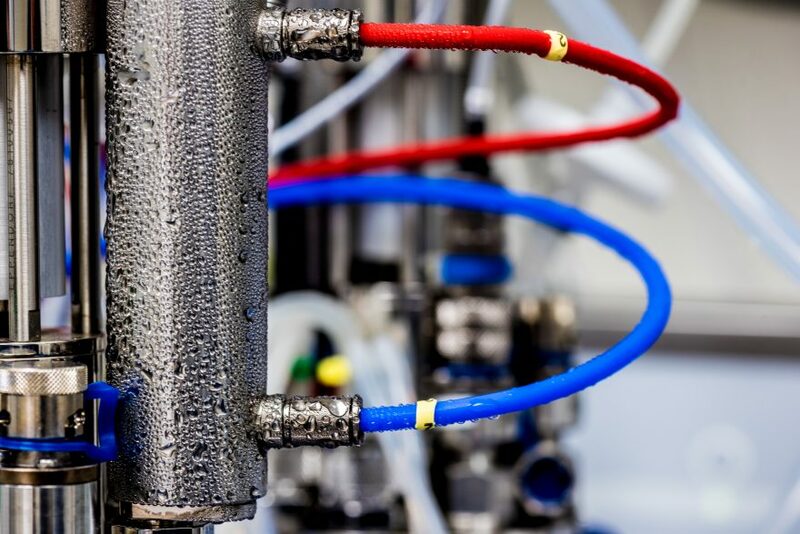 Unlike conventional manufacturing, with workers in helmets and robots cranking out materials, microorganisms will be used in making the products, everything from super fabrics to plastic alternatives. In some instances, the microorganisms themselves will be the products—imagine, for instance, microscopic critters that consume oceanic trash. With something this novel, agencies like the Environmental Protection Agency (EPA) may be expected to employ a high level of scrutiny. 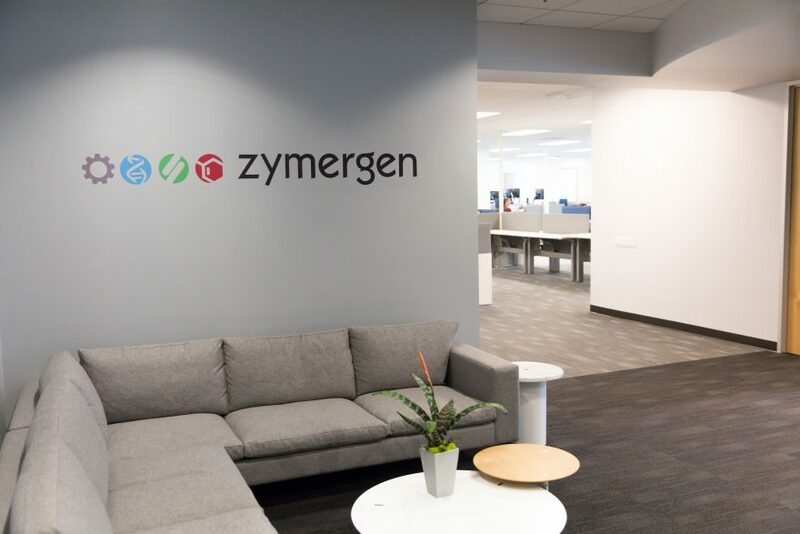 Zymergen is slated to bring its first, top-secret product to market in 2020, but Valz says the company’s current pipeline of molecules and potential product applications currently number in the dozens. As with any innovator, protecting IP is key. For which, Valz got an early start. As an undergrad at the University of California, Berkeley, Valz became enthralled with the history and philosophy of science, and the whys and what-ifs of the tech-centric world around him. For Valz, asking what can science achieve, must always lead to a second, equally important question: Should it? After earning his bachelor’s degree, Valz remained in Berkeley, where he received his J.D. in 1996—with a focus on law, technology and intellectual property. He began his career in private practice, serving as associate attorney for the San Francisco firm of Howard Rice Nemerovski Canady Falk & Rabkin (since acquired by Arnold & Porter Kaye Scholer) from 1996 to 2000. Valz initially left to work on a law-focused startup with one of his former clients, but that opportunity vanished with the dot-com bust in the spring of 2000. The following year, Valz made the transition in-house, as IP counsel for NextCard, the world’s first online-based credit card issuer. In 2003, Valz joined Quantum Corporation as senior counsel, becoming the company’s director of intellectual property shortly therafter. 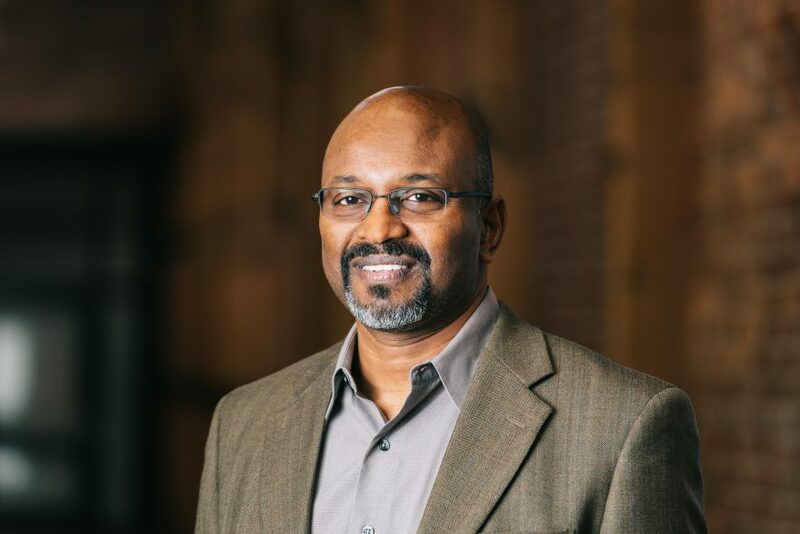 As chair of Quantum’s patent review committee, Valz managed a then growing portfolio of patents and trademarks, all while developing creative commercialization strategies for the company’s legacy and newly developed IP assets. In 2006, Valz was hired as vice president and associate general counsel of global patents for Yahoo. Leading a team of attorneys and engineers, he spearheaded a global invention initiative that helped transform the company’s patent position, expanding its filings to many hundreds per year and broadening technology coverage from basic web and messaging, to search, mobile, video, social media and cloud computing. Yahoo’s portfolio has since generated billions of dollars in direct monetization and enterprise value. Following a two-year return to private practice, Valz joined Google in 2011, just as the smart phone wars were heating up. 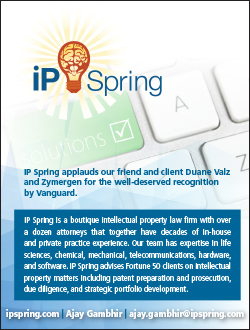 Working in the company’s patent department, Valz oversaw a number of landscape-altering tech patent transactions. These include the multi-company, industry-wide licensing of the Rockstar patent portfolio (acquired from Nortel Networks out of bankruptcy); positioning of the Motorola patent portfolio for supporting the Android ecosystem (e.g., through cross licenses with Samsung and LGE); the Open Patent Non-Assertion (OPN) Pledge; and a number of confidential patent purchase and cross license transactions worth hundreds of millions of dollars. By all accounts, Valz had it made—a growing family, a beautiful home and a high-level job working for one of the world’s most influential companies. But during a chance encounter with Josh Hoffman, Zymergen’s CEO, Valz quickly realized just how wide open the world of bioengineering had become. Zymergen was undertaking to greatly advance the field by combining cutting edge biology with machine learning and automation. Valz was in. In 2016, Valz was named vice president and general counsel. And while the title was a mutual first, it’s one Valz believes was a natural next step. In addition to overseeing Zymergen’s IP strategy, Valz’s GC role allows him to navigate complex commercial transactions with the company’s customers and business partners and oversee cutting-edge regulatory issues. “This GC role allows me to expand the types of issues I manage at the intersection of law, business and technology,” he says.